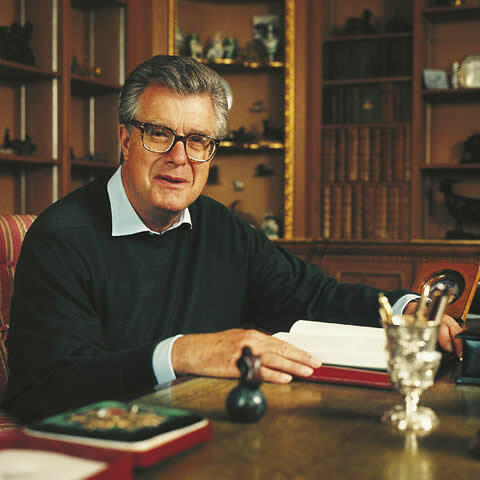 In 1988 Robin Tavistock (the late 14th Duke of Bedford) suffered a brain haemorrhage at the age of 48. His life was saved by prompt and highly skilled surgery, but he was left with a severe problem – the inability to access language – known as aphasia. With support from his family and friends and the help of intensive speech therapy, he slowly began to recover, but always experienced difficulty finding the words he needed or wanted to use. In 1992 Robin founded The Tavistock Trust for Aphasia, the only grant making trust in the United Kingdom to focus solely on aphasia. The trust aims to help improve the quality of life for those with aphasia, their families and carers. We do this, amongst other things, by funding pioneering research and projects that will improve services and therapies; by acting as a catalyst in pulling together charities working in the same area; in raising the profile of the condition amongst the public, students of speech and language therapy and the medical profession, so that people can understand aphasia better. In 2005 we introduced our Small Grants; these are allocated monthly and provide help to people at their point of need. In 2011, the Aphasia Software Finder was launched. The ASF, visited by 132 countries, brings together onto one website all known English speaking aphasia therapy apps/software, as well as other resources, for people with aphasia and speech and languages professionals. “After his stroke in 1988, Robin was unable to speak – he could say “yes” and “no” but was not able to access language. It was a very frightening and frustrating experience. His road after stroke was a long one, but without doubt his aphasia, the silent disability, was the one that most affected his quality of life. Robin’s hope was that everyone who has aphasia would be able to receive the kind of help he had received. Resources are few today, but through funding innovative and inspirational projects and research we are seeing his dream come true. The Tavistock Trust for Aphasia would like to thank Benjamin Shine for his kind gift of the logo design.